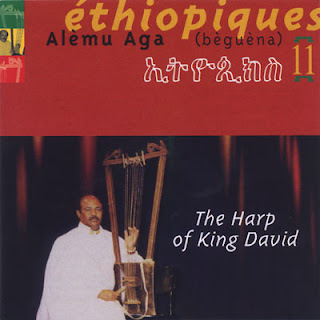 One of the more recent recordings in this series of CDs focusing on Ethiopian music – and one of the more mellow, too! The CD's devoted to work played on the Beguena, or "King David's Harp" – one of Ethiopia's oldest instruments, and one with a weirdly haunting sound. The style is kind of like a fretless bass being played in echoey bottom registers – acoustic here, but with an enigmatic electricity of its own that creates many trance-like moments! © 1996-2010, Dusty Groove America, Inc.
Loving the ethiopiques - thank you! Is this session missing #8? Looking forward to more, thanks again!